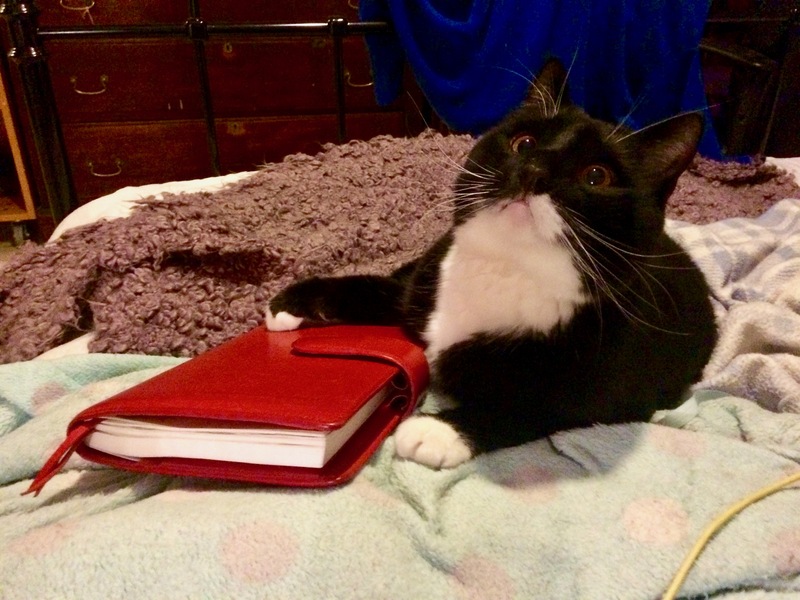 Here he is on my Van Der Spek red Janet Leather A5 Codex/Hobonichi Cousin helping me prepare! Every Sunday evening I familiarise myself with my bookings schedule (weekly calendar) and write in my daily to dos for each day (daily calendar). Anything that does not need to be done on a particular day goes on one half of the Sunday daily page. Fluffy, you are so adorable! He is just precious!!! Have a wonderful week, TOO, Fluffy!